1 x 4 x 4 in. Originally used with the Series 5 and 4000 Shuttle. 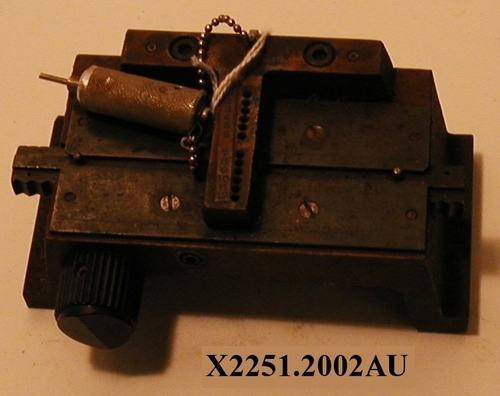 Object consists of a gear attached to a backing plate, a pin attached by a chain to backing plate.